I went to the last day of a garage sell just out of Burnet Texas, and got some models before they went into the garbage can. I want to apologize for intruding on this site. 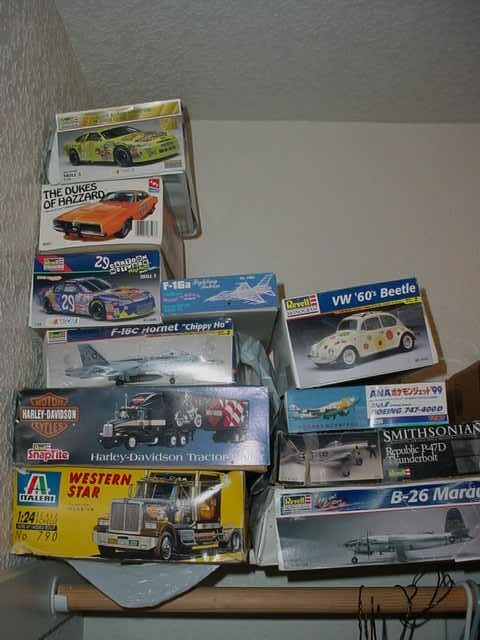 I am not a scale model guy, and know nothing about them. I registered on this site to try and find a good home for what I bought. Getting my money back wouldn't hurt either. I live about 10 miles west if Burnet Texas, and was hoping I might find someone close who might want these. Picture attached. Please email me at billpenn47@outlook.com and I can supply more details. There is a model club in Austin that you might reach out to...I can give you some names and email addresses. Let me know if that would help and I'll contact you through the "private message" feature on this forum and give you some names. Ben of the Austin club, just emailed me and said that he accidentally deleted your contact info. Can you please ping him again? D'oh! Didn't even see your email addy there. I've sent an introductory email to you and Ben. And yes. Thats me 50 years ago in Viet Nam.